Khosravi-Darani, K., Mozafari, M. (2010). Nanoliposome Potentials in Nanotherapy:A Concise Overview. International Journal of Nanoscience and Nanotechnology, 6(1), 3-13. K. Khosravi-Darani; M. R. Mozafari. "Nanoliposome Potentials in Nanotherapy:A Concise Overview". 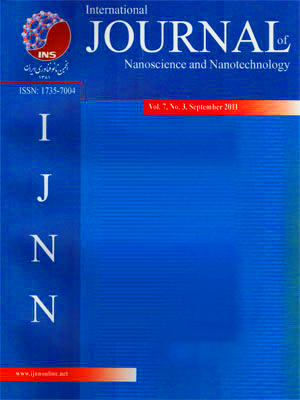 International Journal of Nanoscience and Nanotechnology, 6, 1, 2010, 3-13. Khosravi-Darani, K., Mozafari, M. (2010). 'Nanoliposome Potentials in Nanotherapy:A Concise Overview', International Journal of Nanoscience and Nanotechnology, 6(1), pp. 3-13. Khosravi-Darani, K., Mozafari, M. Nanoliposome Potentials in Nanotherapy:A Concise Overview. International Journal of Nanoscience and Nanotechnology, 2010; 6(1): 3-13. Liposomes have attracted great interest as efficient carriers for nutrients, drugs and other bioactive agents as well as ideal models for biological membranes. This article intends to provide an overview of liposomes and nanoliposomes definition as well as their properties and preparation methods. Also it elaborates on various applications of nanoliposomes in nanotherapy including diagnostics, targeted cancer and gene therapy. Finally structure and function of liposomes and nanoliposomes are compared with other lipidic nanocarriers.